THE journey to the biggest fight next year, and probably for the decade, begins on Saturday (Sunday Philippine time) when ‘comebacking’ claimant for the world’s pound for pound best honor Floyd Mayweather Jr. lock horns with Mexico’s Juan Manuel Marquez. Many see this fight as a potential mismatch, if not a boring encounter between two excellent counter punchers. With a megabuck fight with Manny Pacquiao as the ultimate prize for the winner, both Mayweather and Marquez certainly want to register a very impressive win to boost their stock and haggle for a better payday against the reigning pound for pound title holder. Floyd Mayweather Jr. will come out smoking and bully the smaller and older Marquez, using his longer reach and excellent footwork and rolling over the punches that will come his way. The undefeated American will use his superior defense to frustrate Marquez. A big win over Mayweather, on the other hand, is an incentive too hard to let go for Marquez who has been aching to get a third fight with Pacquiao to validate his claim that he won two previous fights with the southpaw from General Santos. Mayweather’s long layoff, almost two years removed from his KO win over Ricky Hatton, will only become a factor in the early rounds. Mayweather will get stronger as the fight wears on. This is when Marquez should capitalize and build an early lead otherwise he will face an uphill battle and could be in for a long night. The effects of bulking up in the upper body will also eventually take its toll on Marquez. 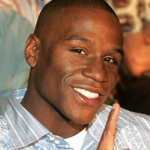 I see a late round stoppage by Mayweather Sunday. Two months after Sunday’s big event, Pacquiao himself goes up against tough hombre from Puerto Rico, Miguel Cotto. The size difference between Pacquiao and Cotto is not as pronounced as Mayweather Marquez. This will be Manny’s third fight north of 140 pounds without losing his blinding speed. As many of his opponents realized, gauging Manny’s speed on tape is altogether different when they climbed the ring. Cotto however has above par defense and he tends to cover up his face. He attacks to the body consistently and has been successful except when facing taller opponents. Manny should penetrate that defense with his vaunted left straight leads and use his right hooks when Cotto drops his left to fire his body shots. Manny cannot afford to go toe to toe with Cotto, who is an excellent slugger from the inside. 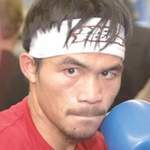 Speed will be Manny’s main strength and weapon against Cotto. Cotto, on the other hand, should press Manny and deny the Filipino the distance and angle from which the later can fire his blinding combinations. He cannot afford to fight Manny in the middle of the ring where Manny can tiptoe around him. The corners and the ropes. This is where Manny is vulnerable and I would assume Coach Freddie Roach is going to pester his ward. In the end, I see Manny winning by technical knockout due to cuts towards the championship round. Victories by Manny and Mayweather would pave the way to the mind-boggling super megabuck fight of the decade. A cool guaranteed US$40 million bucks for each fighter, at least, would make the fight the biggest below 147 pounds.